…millions of crushes are reignited. You heard it here first folks….or second, or third, if you read US Weekly and/or Pitchfork. Hell, you probably heard it here tenth, but I am writing about it anyway. Today America’s most beloved hipster starlet and the frontman of what once was one of the best indie bands of our generation announced their divorce. 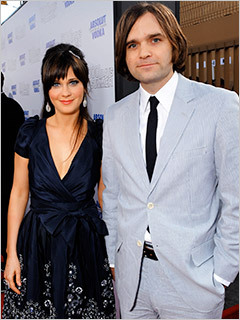 Yep – Zooey Deschanel and Ben Gibbard are apparently no more. No joke, the news of their separation did make me slightly and inexplicably sad (maybe it’s the mushy newlywed in me)…but what struck me even more was the amount of mainstream media attention this is getting considering these are supposed to be “indie” stars. There are hundreds and in some cases thousands of comments on each of the major sites that broke news of the split today, even though many of the articles went live just two to three hours ago. Anyways, despite some adorable tweets back and forth in recent months (including Gibbard repeatedly hailing his wife’s talent and beauty), the post-couple has said that the split was “mutual and amicable.” Jokes abound pertaining to finally receiving the next great Death Cab for Cutie album in the aftermath of the split. 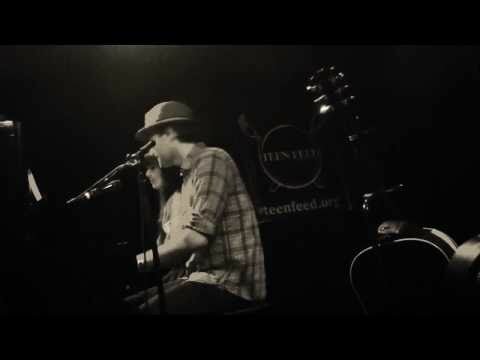 The once wed talents performing in November of last year.